Self-Leaders are AUTHENTIC, RESILIENT and GUTSY. They Courageously Flip Adversity on its Head and Claim Back Their Power. 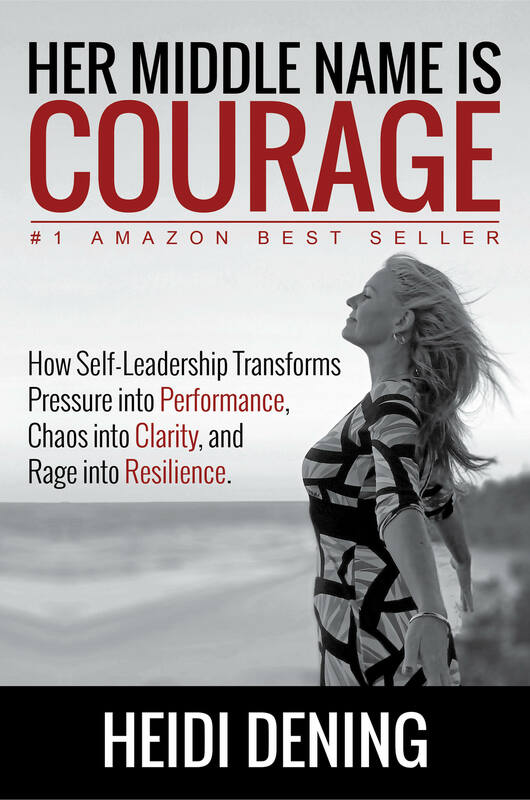 #1 Amazon Best Seller, Her Middle Name is Courage is a conversation about hardship, resilience, self-leadership and overcoming adversity to come out of tough times stronger than ever. Heidi has transformed her own real-life setbacks into opportunities and shares these impactful strategies to inspire others to find their courage and become the self-leaders they were destined to be. From not being able to walk for eight months; forced into a car at gunpoint in South Africa; and narrowly escaping being burnt alive during a volunteer mission in Vanuatu, Heidi shows us how to turn our stories of adversity into stories of resilience. Her Middle Name Is Courage, will help you embrace self-leadership strategies and influence your life in a way that is right for you. It is not only for entrepreneurs, corporate executives, business owners, and team leaders; it’s also for those who know they have so much more to offer but don’t yet understand how to draw positive insights from their personal and professional adversities. If you are ready to step up, speak out and share your unique brilliance, this book will give you the courage to do so. The e-launch of Her Middle Name Is Courage claimed the #1 spot on Amazon in Business Leadership, Women & Business, Business Management & Leadership, Business & Investing, Business & Economics categories, plus the overall best selling non-fiction book, joining the ranks of Richard Branson, Tony Robbins, Brene Brown, Simon Sinek and Scott Pape from Barefoot Investor.